CHRS Historic Preservation Committee meets at 6:30pm, Kirby House, 420 10th Street SE, first floor. The DC Department of Public Works will observe Independence Day; sanitation services and parking enforcement will be suspended. Trash and Recycling Collections: Trash and recycling collections will “slide” to the next day, for the remainder of the week. This applies to both once-a-week and twice-a-week collection neighborhoods. Trash and recycling containers should be put out for collection no earlier than 6:30 pm the night before collection and removed from public space by 8 pm on the collection day to avoid sanitation enforcement. DPW will not enforce parking meters, residential parking, rush hour lane restrictions or tow abandoned vehicles Tuesday, July 4, except along the streetcar line. The parade forms up under the Interstate at 8th St. & 695 at 9:00am and steps off at 10:00am sharp, from 8th & I St, SE, lead by the Marine Corps Marching Band and ends at Eastern Market Metro Plaza at 11:00AM. 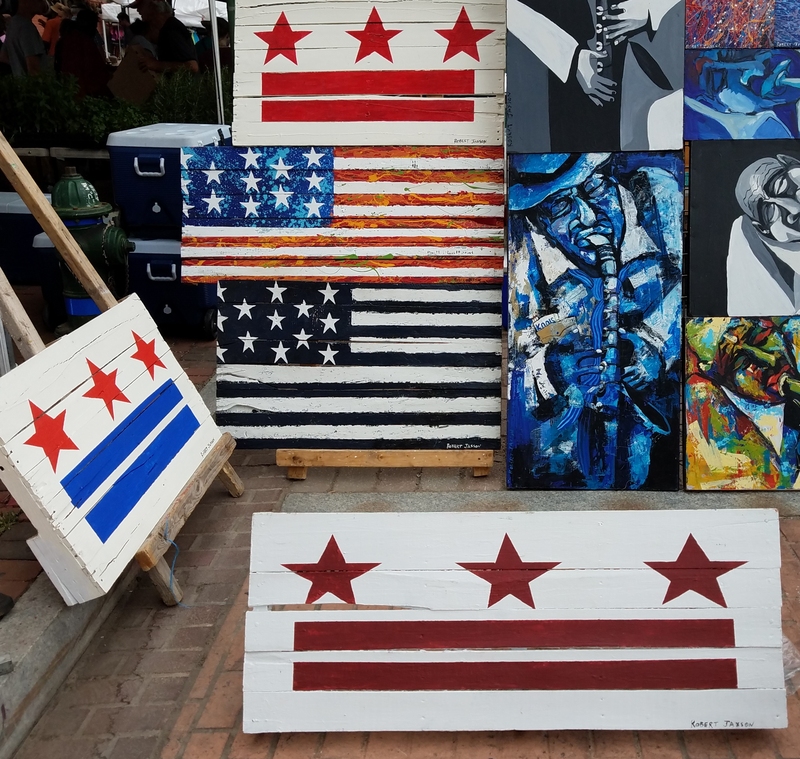 Many Barracks Row businesses will be open during the parade – including District Doughnut, Capital Teas, Spring Mill Bread, Summit to Soul, Lola’s, Ambar, Matchbox, Ted’s Bulletin and Hills Kitchen. Both The Skill Zone and Miracle Theater will have Open Houses beginning at 9am on the 4th for kids and parents as an oasis – for water, bathrooms and general cooling down. Some restaurants like Ophelia’s Fish House will even do a special menu for the 4th featuring brunch with bottomless mimosas. However, others like Belga, Cava and Lavagna will be closed on the 4th to give staff a mid-summer break. Zoning Adjustment Application for 1349 South Carolina Avenue, S.E. to construct a three-story rear addition. Historic Preservation Application for 818 Potomac Avenue, SE; concept/construct new four-story building. Historic Preservation Application for 418-420 7th Street, SE; proposed condo conversion. Historic Preservation Application for 418 New Jersey Ave., SE; concept new building. Historic Preservation Application 400 D Street, SE; concept/construct 5 new townhouses. Zoning Adjustment Application for 716 16th Street, SE, for special exceptions from the parking requirements and from the use restrictions to expand an existing accessory structure for residential use in the RF-1 Zone. Zoning Adjustment Application for 220 2nd Street, SE, variance to add 13th apartment rental unit in basement of existing apartment house. 2 Patterson Street, NE (non-voting item) – Informational presentation on upcoming RFP (request for proposals) for 42,000sf lot currently used for surface parking. Zoning Adjustment Application for 609 Orleans Place, NE, for a special exception from the lot occupancy requirements and the rear yard requirements to construct a rear deck addition to an existing, nonconforming one-family dwelling in the RF-1 Zone. Filed for expedited review and decision on September 6; no hearing will be held absent a request by the ANC or other objector. Zoning Adjustment Application for 714 4th St. NE, for a special exception from the minimum parking requirements to convert an existing accessory building into additional living space for the existing one-family dwelling in the RF-1 Zone. Historic Preservation Application for 501 C Street, NE – Revised application of MGM Public Policy, LLC for concept approval for a rear addition and façade alteration. Representative: Andi Adams (architectural historian), Goulston & Storrs. Historic Preservation Application for 418-420 7th Street, NE, to combine two houses; construct rear and rooftop additions; and construct a building at the rear of the property. Proposed changes to zoning regulations– In March 2017, the Zoning Commission adopted a new rule in ZC 14-11B requiring zoning relief for “pop-backs” extending more than 10’ past an adjacent dwelling. These two followup rulemaking proceedings address whether certain permit applications should be grandfathered and exempted from the restriction and whether the regulation needs technical clarification. 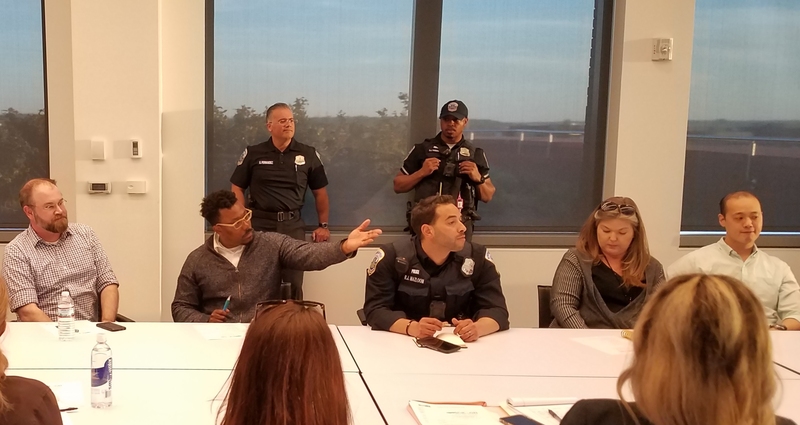 ANC 6B Alcohol Beverage Control Committee meets at 7:00pm, in the Frager’s Hardware Conference Room, Room 314, Third Floor, Hill Center, 921 Pennsylvania, SE. 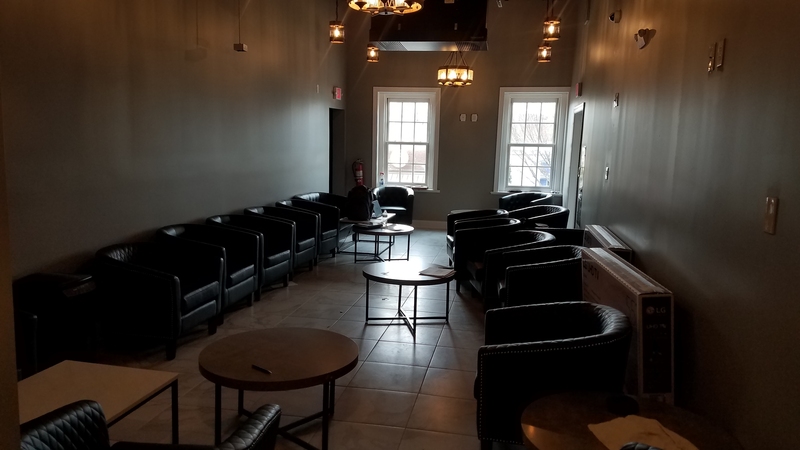 ANXO (pronounced An-cho), 525 8th Street, SE (Phase 1 Building), Substantial Change for Hours (to open at 10 am) of a Class “C” Tavern License Current Hours: Mon-Th 7:00pm – 2:00am; Fri-Sat 7:00pm – 3:00am; No sidewalk Café; Seeking to open at 10:00am. 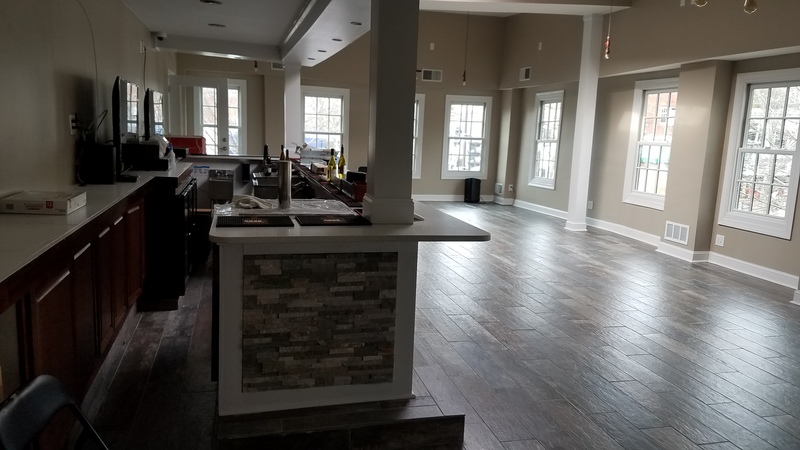 Chi-Ko, 423 8th Street, SE, (formerly DC-3), New Class “C” Restaurant License, 40 person capacity, Hours sought: Sun-Sat. 10:00am – 12:00am. No other endorsements. ANC6C Transportation and Public Space Committee meets at 7:00pm in the Kaiser Permanente Capitol Hill Medical Center, 700 Second Street NE. New Zipcar Spaces. Carsharing provider Zipcar is looking to reserve four street parking spaces within ANC 6C for their cars. 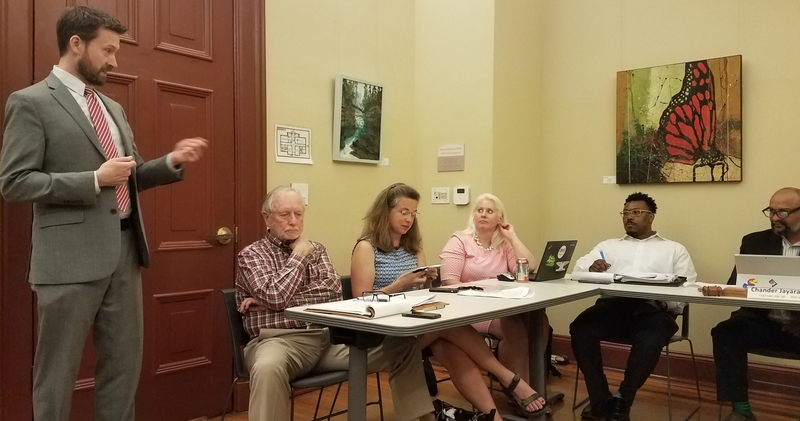 After previously presenting two options to the committee in April, the committee opted to further examine the areas and invite Zipcar to return. The current proposed locations are the first two spaces on 4th St. NE at the northeast corner of the M St. intersection (currently unregulated) and the first two spaces on 8th St NE at the southeast corner of the C St. intersection (currently Zone 6). 45 L Street, NE. Public Space application – construction for new mixed-use building: paving, landscape, fixtures, etc. 150 M Street, NE. Proposed traffic control plan for new mixed-use development currently under construction. Plan involves closing the westbound lane of M St. NE after Delaware Ave. from 7 am to 7 pm. New York Avenue Streetscape. DDOT is working to create a cohesive corridor streetscape and trail for all users of New York Avenue, NE. This project will identify improvements that include sidewalks, streetlights, plantings, trees, benches, public art and other public space improvements. Details can be found at https://www.newyorkavenueproject.com/. While the project area is outside of ANC 6C, this corridor is an important connection to our neighborhood and will interface with other important connectors (e.g., the Metropolitan Branch Trail and 4th Street). 6th Street, NE – Bike Lanes. New bike lanes have been painted on 6th St. NE by Florida Ave. and M Street. The committee will consider requesting bollards be added. PSA 107 meets at 7:00pm, in the Sourtheast Library, lower level.